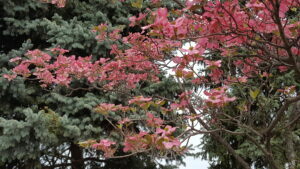 Dogwood, Cornus florida, is an American native to the eastern U.S., and is the New Jersey State Memorial Tree. The white or pink “flowers” are actually leaves. Find the little yellow flower cluster at the center in the spring, and red berries for the birds late in the summer. An ornamental native, Small Tree which will grow less than 25′ at maturity. This decorative tree is best planted in lawns, away from salty roads. It can grow in full sun, and also under taller trees where it is naturally an “under-story” tree. The eastern Asian cousin, Cornus Kausa is also a favorite import with many varieties on the market. Tell them apart easily in bloom by the “petals” which are called “bracts“. 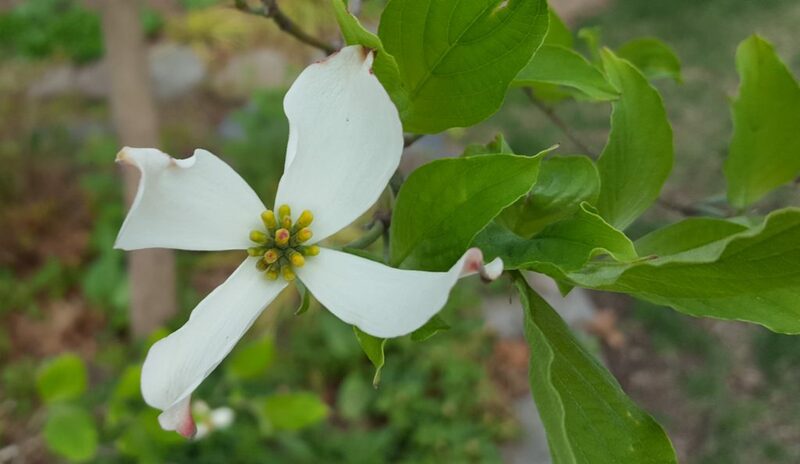 Cornus florida has a dimple at the end of each “petal”. Look for mature Dogwood trees in the norther Heritage Tree Section. Although they will never become large trees, they qualify as Dumont Heritage Trees because they are estimated to be over 50 years old. 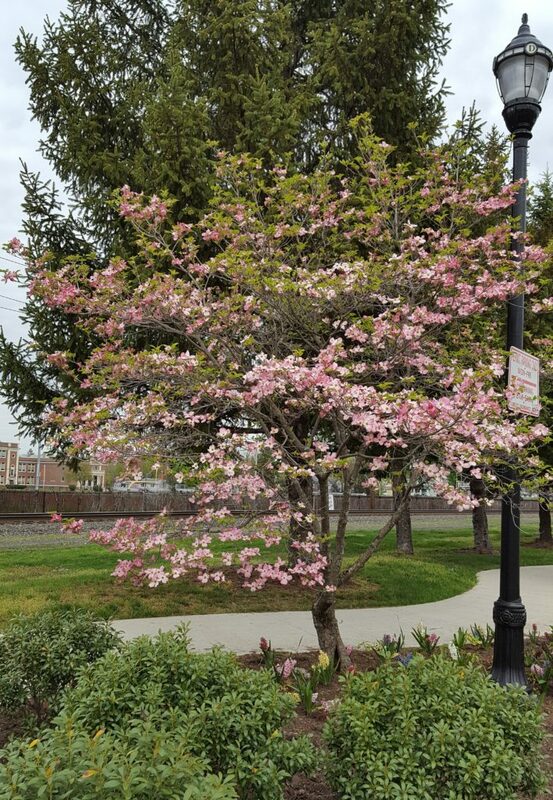 Many Dogwoods were planted in Dumont after WWII in Memorial Park and throughout the borough. 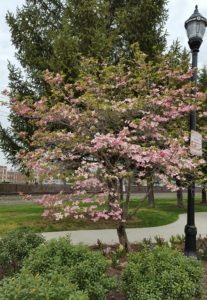 Dogwood is the NJ state memorial tree. Rutgers also has created many hybrid dogwoods. Did you know that the developers of Dumont in the 1950s and 1060s also planted many Japanese Maples as lawn trees? Small Heritage trees need to be at least 50 years old. 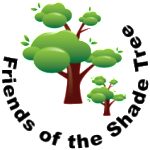 Click Here to learn more about Heritage Trees.